Thank you for your interest in our growing, regional SUPER STEEL division! 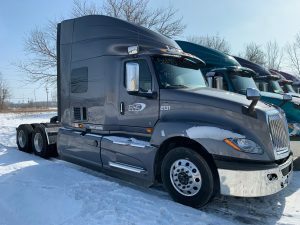 2019 International LT Series available for all drivers. Colors vary! Are you from Southern Michigan, Ohio or Indiana? Tired of tarping and want to be home every weekend? Don’t sacrifice the extra income to come off the road! Stay local and make OTR type pay. 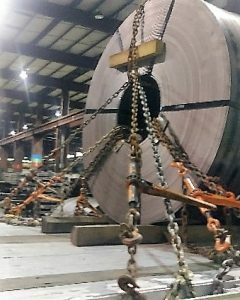 Our Regional Heavy Coil Operators do this on a weekly basis—LP and Company Operators alike. 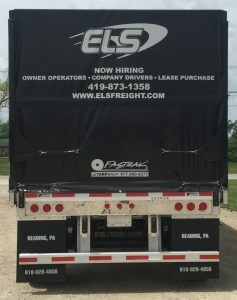 $5000.00 sign on bonuses for qualified company drivers! NO MORE TARPING either! 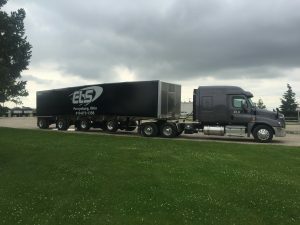 Our state of the art Reitnour trailers feature Tarp Stop’s FastTrack roll away tarping system, making tarping almost non-existent! 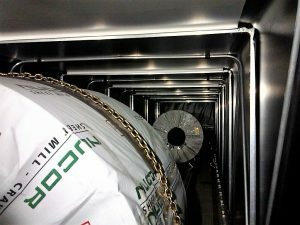 We need experienced drivers to haul up to 85,000 pounds of steel coils in the upper Midwest (IL, IN, MI, OH and N. KY). You will be equipped with quad-axle, curtain side flatbeds along with late model, dependable tractors with all the amenities! NO MORE TARPING with our Fastrak roll-away tarp system! NO MORE TARPING with our Fastrak II rolling tarp systems!